HP Velotechnik’s Street Machine Gte improves an already gorgeous view from the top of Bear Mountain. 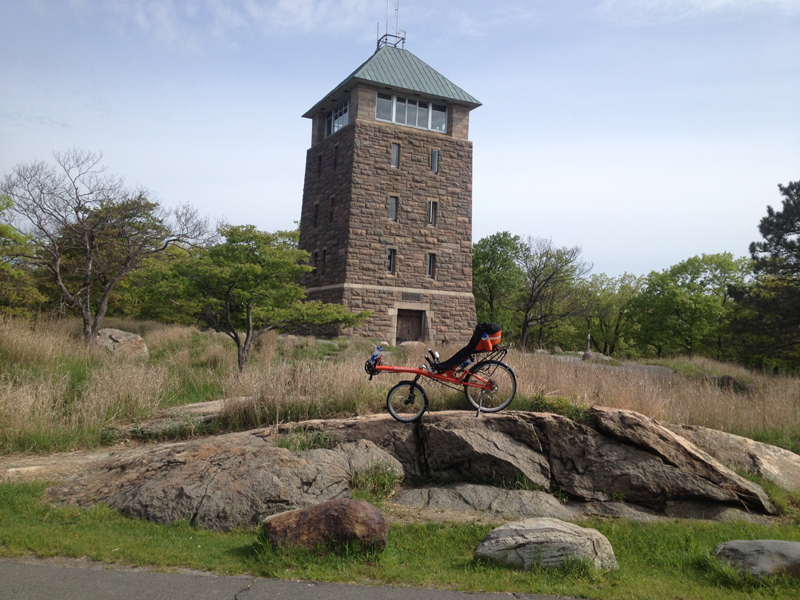 A “cool bike” posing for a photo in front of the Bear Mountain lookout tower. 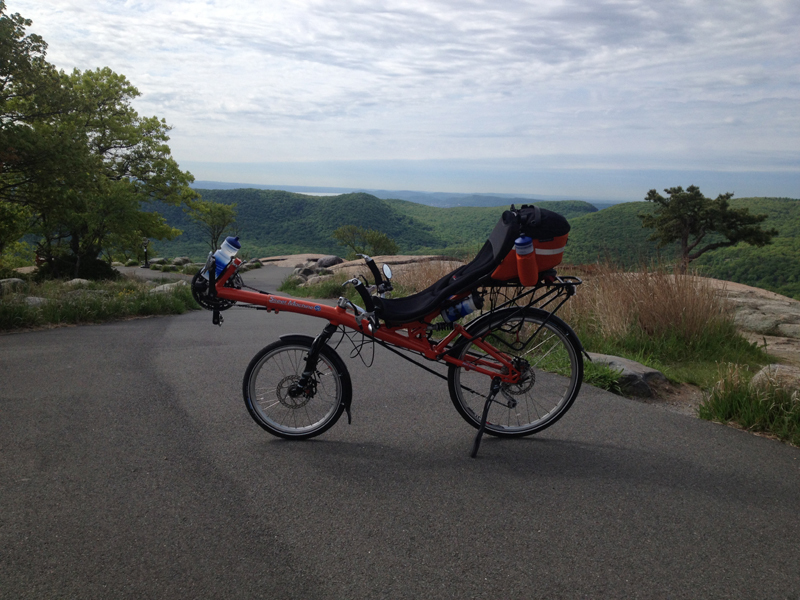 Standard frame (or “diamond frame”) riders often ask me how recumbents are on hills. (Answer: “You pedal up them.”) Yes, there is the disadvantage that you can’t stand on the pedals, but I don’t need to since I have mountain bike gearing. And on those steepest hills, where I’d stand up and power through on a standard frame bike, on a bent I just sit and power through. Same thing. When I started riding a bent, I admit I’d sometimes have to walk up a hill. I didn’t yet have a fine sense of balance or strong “recumbent muscles.” But I haven’t had to walk up a hill in years. I just ride up. 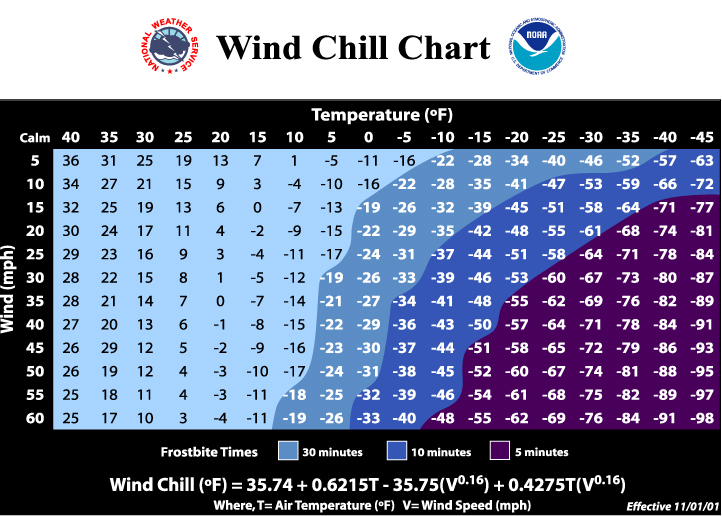 I was thinking about this the other day after riding through Harriman State Park, from Garrison to Camp Nawakwa on Lake Sebago and back again to Garrison. We had taken the train up to Garrison and started riding from there. It’s a 46-mile round trip that begins with about 15 miles of steady climbing, without much more than a few yards of level road, then gives you a steep down, a long uphill false flat, more hills than I can bother remembering, and then you hit Lake Sebago. The camp’s road is then a series of very steep un-graded hills, more up than down. On the way back, reverse it. Lots of down, some up, a long and steep uphill climb, and one very, very long downhill coast on a windy road with frequent blind turns where your brakes are very much your best friend. The next day, no soreness. Wow. That’s a recumbent for you. What were we riding? There was an HP Velotechnik Grasshopper fx and a Street Machine Gte, with racks, fenders, and lighting systems. They’re simply the easiest for throwing on a couple panniers for a day-ride and it’s always welcome to have the folding Grasshopper when taking the train. Nice website for NYC cyclists, bents and otherwise. I recently discovered this site published by Ken Roberts and Sharon Marsh Robert. Found while searching for “steepest climbs” near New York City, they also have some great safety advice and reminders for riders of all ability levels and some maps and routes. Good stuff. For the nearest steep climb to the city, no surprise, it’s Bear Mountain. The Volae Tour makes molehills out of mountains, using just platform pedals, PowerGrips and sneakers. Volae ‘bents are said to be great climbers. And I finally got the chance to put a Volae Tour to the test to see if it’s true. It is. In short, the climbing ability is no exaggeration. If anything, it’s an understatement. Those stiff frames and comfy, aero, rigid seats are fantastic. Last Sat., on a beautiful but cold New York Jan. day, a Volae Century-riding friend of mine and I did the following route from the archives of the NY Cycle Club. If you know the route, then you know it was written by a hill climbing diamond frame maniac (in the best sense). And you know the hills. If you don’t know the route, in summary, it’s a constantly hilly and beautiful route with many steep inclines. If you look at the route map, which includes elevations, you’ll get a good idea of the climbing involved. Total distance from our meeting point at the Soldiers/Sailors Monument was 62 miles, plus the additional 22 miles round trip for me to ride to the meeting spot and back home. So, 84 miles and none of it flat. And we did it WITHOUT fancy pedals. For the trip I was using MKS’ inexpensive $40 Touring/Cyclocross platform pedals and $22 powergrips. And sneakers. You can buy the pedals and powergrips at Rivendell Bike Works. Point is, with a good bike, you don’t need expensive pedals to climb steep hills. The entry-level Volae Tour is a great bike, and not merely good. Positively great. More people should ride them.